Washington (AFP) - When Shiite rebels blasted a ballistic missile from Yemen toward the Saudi capital last month, Riyadh officials said they had intercepted and destroyed the incoming rocket. But in an analysis published Monday by the New York Times, an arms expert and a research team examined photo and video evidence and found that Saudi Arabia may actually have missed the missile with interceptors from a US-made Patriot defense system. The November 4 attack was the first missile Shiite rebels had aimed at the heart of the Saudi capital, underscoring the growing threat posed by the raging conflict in Yemen. As the missile flew over Riyadh, Patriot interceptors blasted into the sky toward the rocket. Soon after, large parts of the missile fell to the ground, and officials said this was evidence of a successful shootdown. But around the same time, a large explosion was felt near the Riyadh airport, which was the intended target of the strike. The Times and researchers, mainly from the Middlebury Institute of International Studies in Monterey, California, said the bits of missile Saudi officials collected and put on display were all from the back end of the rocket, believed to be a Scud variant, raising the question that the Patriot system may not have worked. According to the Times, the Scud was "almost certainly" designed to split into two pieces as it neared the end of its 600-mile (965-kilometer) journey from Yemen. The missile engine and tube are designed to carry the warhead for most of the flight, allowing the smaller and harder to hit warhead to complete the journey to its target. The Times said evidence suggests either the Patriot missiles missed their target or only hit the back end of the Yemeni missile after the warhead was unleashed. "Governments lie about the effectiveness of these systems. Or they're misinformed," Jeffrey Lewis, an analyst who led the research team, told the Times. "And that should worry the hell out of us." The Pentagon referred questions to Saudi Arabia, which declined to comment to the Times. The question of missile defenses and their effectiveness has taken on renewed urgency after North Korea tested a missile with the potential ability to strike anywhere in the United States. 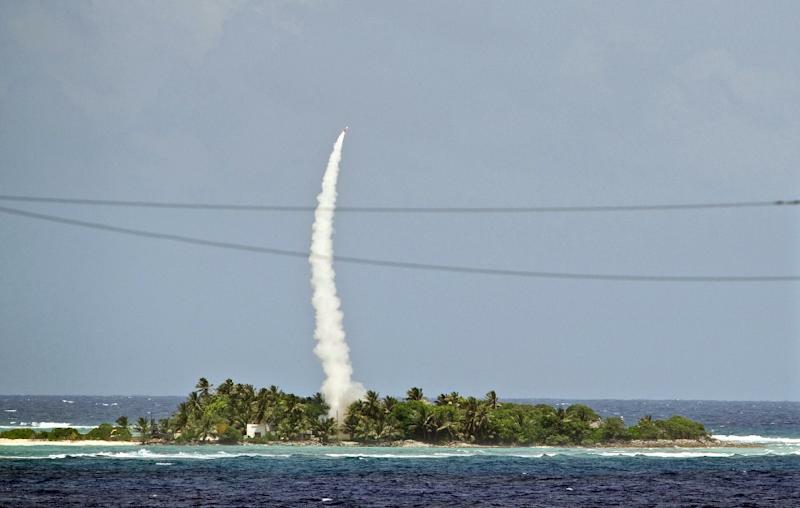 The Pentagon says it is confident it could stop such a missile with a "layered" missile defense system, but the system is not infallible and critics fear it would fail in a real-world setting.